Remember loved ones with a beautiful memorial star. This special keepsake can be hung up in the living room on a handle or window latch or propped up on the mantelpiece. 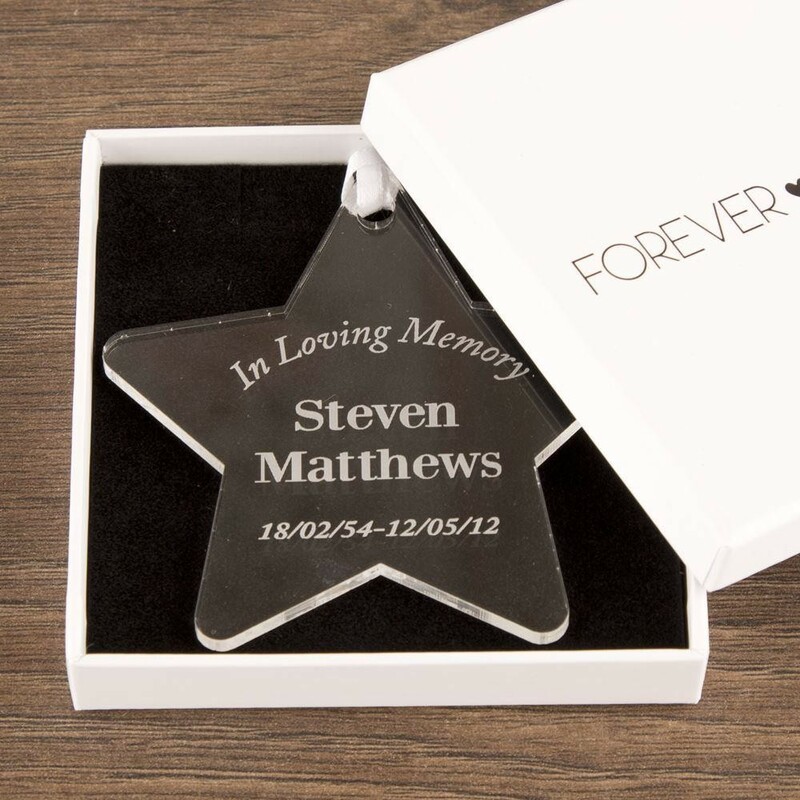 We personalise each star in house with the special person's name and special dates. The engraving will glisten as the sun light hits it and will look even more stunning. This star is gift ready in a presentation box so is ideal for giving to a family member or friend – it is the perfect way to tell someone that you are thinking of them.